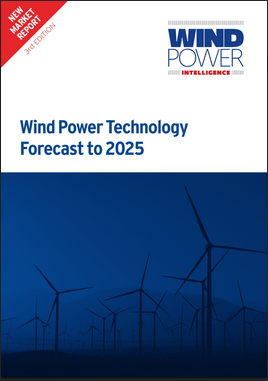 Based on extensive primary research this study profiles the major wind power technology trends, and identifies which of these will have the greatest impact on the wind power industry over the next five to 10 years. 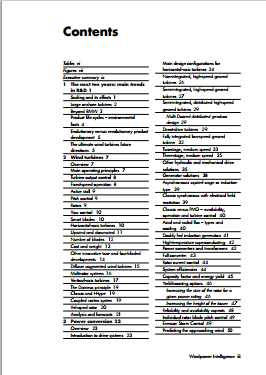 The study examines component by component significant issues affecting development, such as; access, transportation, power system demands, health and safety and so on. 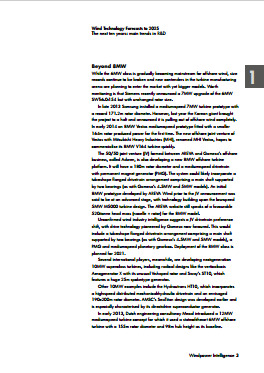 From advances in component technologies to significant R&D projects, the report considers varying factors such as consumption, legislation and business dynamics. How will Intelligence benefit you? 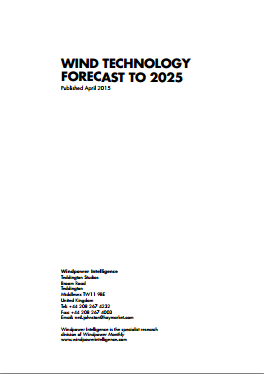 This report presents an overview and analysis of research and development trends over the next ten years for wind power technology. • and forecast of offshore projects by foundation type. Using the WPI tracker as the foundation for our reports enables WPI to produce a bottom-up projection of future global market development around actual individual projects moving through the pipeline. For the purposes of this report, we only took account of projects that are currently ‘in progress’, meaning that they are not yet in operation, nor have they been put on hold or cancelled. For the data analysis, we used a snapshot of the database taken on 11 February 2015. Information we may have learned after that date is not reflected in this report. 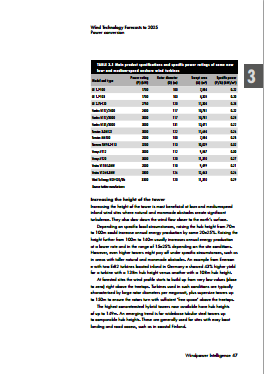 Our short-and medium-term forecasts of future installed wind capacity are drawn from the February 2015 issue of the WPI Global Forecast. This is a monthly forecast report that provides up-to-date country forecasts based on ongoing research alongside collection and verification of pipeline data. Our long-term forecast of future installed wind capacity is produced based on analysis of future pipelines in our WPI database, linear regression analysis of historical installed capacity and research on individual countries’ policies and targets.